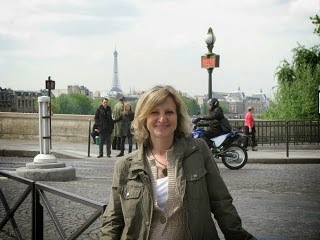 Kerry Hammond is here today with a review of the latest from author Deborah Crombie. 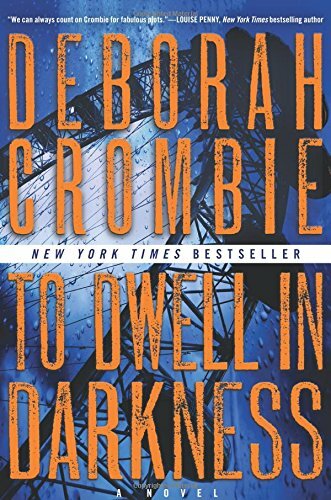 To Dwell in Darkness is the 16th book in the Duncan Kincaid and Gemma James series. Let me start by saying that you don’t reach book 16 in a series without great characters and gripping, fast-moving plots. James and Kincaid are two of my favorite Scotland Yard Detectives. This book follows an investigation led by Kincaid, although he’s no longer investigating for the Yard. He’s been transferred to the London borough of Camden and is the Superintendent in charge of investigating a bombing at the St. Pancreas train station. He tracks down a group of protesters who seem to be involved in the bombing that killed one and wounded many more. All the members of the protest group insist that their intent was to set off a smoke bomb at the station, just to get everyone’s attention. But the damage caused, and the death, was much more serious than that. Gemma finds herself drawn into Kincaid’s investigation when her Detective Sergeant is witness to the explosion and becomes one of the first responding officers on scene. Kincaid, still trying to fit in at his new job, begins to unravel the truth behind the bombing. It leads to an investigation of the members of the protest group, and he soon learns that each has a secret that they haven’t shared with the others. Crombie’s books are very real and authentic. The characters are anything but contrived and are written in such a way that you can almost feel that you are sharing their experiences and struggles. Their lives are full of turmoil and things don’t always happen the way they should. In real life, we deal with the good and the bad, and Crombie’s characters are no different. Life isn’t a wonderful journey where everything goes as planned. It’s a struggle where we do the best we can with what we’ve been given. James and Kincaid take what life throws at them and they do their best to make it work. This installment is another great book in a wonderful series. The series is certainly going strong - I'm looking forward to getting started with it!